Over 2,000 madrasas in the state failed to join the government’s online registration drive. A grant of Rs 100 crore is given to such minority institutions by the state government every year. ‘Fake’ madrasas costing the state exchequer over Rs 100 crore per year have been detected by the Uttar Pradesh government during its drive to register such minority institutions online. “Online registration of madrasas was started in the state in a bid to bring in transparency in their functioning. But even after increasing the deadline for the same a number of times, 20 mini ITIs (run by madrasas) out of a total of 140 mini ITIs failed to register themselves. “Over 2,000 madrasas in the state also failed to join the government’s online registration drive. A grant of Rs 100 crore is given to such minority institutions by the state government every year,” state Minority Welfare Minister Lakshmi Narain Chowdhury told PTI. “It seems these madrasas are fake and are run only on papers. We are probing the matter further,” he said. There are 19,213 madrasas recognised by the State Madrasa Board in Uttar Pradesh. Of these only 17,000 madrasas have submitted their information on the website of the board, the minister said. Chowdhary said the aim of the state government with the drive is to ensure proper education system in the the madrasas, where there is no exploitation of teachers and staff, and the scholarship is directly transferred to the accounts of students. He said the state government was also mulling to frame a law to keep a tab on the appointment and removal of madrasa teachers. The state minister said many discrepancies came to the fore after the online registration of the minority institutions. “It was found that name of a teacher was used by many madrasas. How can a teacher teach at the same time in a number of madrasas,” he said, adding only genuine madrasas would now be allowed to run in the state. 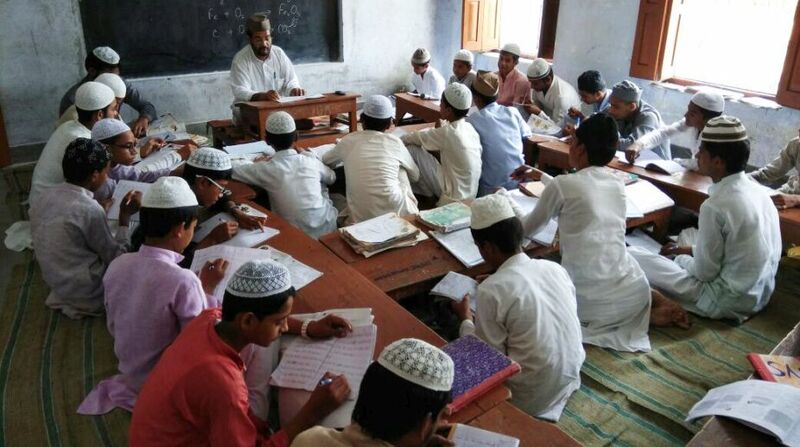 A senior government official said a majority of ‘fake’ madrasas were covered under the madrasa modernisation scheme under which teachers are given honorarium by the government to teach subjects like Mathematics, Science, Hindi and English. “Under the scheme, graduates with BEd degrees are given Rs 8,000, while post graduates with BEd degrees are given Rs 15000. It is suspected that fake madrasas were misusing the same to earn money,” the officer said. A total of 8,171 madrasas are at present covered under the scheme.